People used to go on marches to demand change in a very public show of strength. This weekend’s protests in Britain calling for the abolition of the bedroom tax turned the meaning of protest on its head. A year on from the introduction of the bedroom tax – or the removal of the spare-room subsidy, as the government prefers to call it – the marchers in London, Leeds, Cardiff and elsewhere were not demanding radical change. Their cause was a conservative one. The demonstrators were against any kind of reform – on the bedroom tax as well as any other welfare reform – because of the impact it may have on ‘the vulnerable’. Of the estimated 660,000 households affected by the bedroom tax, it is estimated that 440,000 contain people with disabilities. Disability campaigners in particular have a deserved reputation for radical protests in the 1970s and 1980s, fighting for the freedom and equality of disabled people. It is ironic, therefore, that this weekend’s protesters found themselves in opposition to the bedroom tax, which, at least in part, is designed to give disabled people greater autonomy. Yes, the bedroom tax is as awful as opponents say it is. Few can afford to lose the 14 per cent or 25 per cent of their housing benefit that a spare room or two will cost them; and many disabled people dispute the idea that the room containing equipment they rely on is ‘spare’. The mean-spiritedness of this ‘tax’ is clear, not to mention the incompetence of those responsible for it. Indeed, the bedroom tax has simply failed to do the two things it set out to achieve: free-up stock in the scandalously cramped social-housing sector and save public money. Those claimants who have been forced out of their homes have ended up in more expensive private-sector accommodation because of the shortage of social housing. Therefore, the bedroom tax has done nothing to lower the housing-benefit bill. Still, accusing the government of cruelly punishing the poor and vulnerable is patronising. It diminishes the humanity of those on welfare and turns them into objects of pity. On the other hand, the government’s adoption of the radical notion that people with disabilities can be independent when given the right support, and that many of them are able to work and needn’t be claiming benefits, is worth supporting. The fact that this weekend’s protesters, those who have appointed themselves defenders of the disabled, are demanding a return to the state-dependent status quo suggests that people with disabilities are not so much disabled by society – as the old slogan went – as they are by those claiming to represent them. There’s not much to like about the bedroom tax. Ed Miliband, ever-desperate to engineer a connection with a bored and far-from-convinced electorate, will not only freeze energy prices but has promised that a future Labour government will abolish the hated bedroom tax too. It has already had a terrible impact on what welfare reform’s paternalist critics routinely describe as the ‘vulnerable’. The ‘under-occupancy penalty’ or ‘abolition of the spare room subsidy’ to housing benefit for those living in social housing – like the community charge before it the sort-of-official names for this non-tax never caught on – isn’t easy to defend, even for those of us with more than a little sympathy for the reforms. Those deemed to have more than their allotted number of rooms will find their benefit cut by 14% for one ‘spare’ room; and by 25% if they have more than one spare room. Of the reported 660,000 households affected, 220,000 are families and 440,000 include people with disabilities. A group of charities have written to the prime minister expressing theiroutrage at his misleading statements to the effect that disabled people are exempt. For all but a few this is simply not the case. But this is less a case of Tory nastiness, as most of the critics seem to think, than it is to do with the incompetency of the reformers. Arguably the bedroom tax is not nearly discriminating enough. Expecting people like the sick brother of an MP to pay – a man whose kidney dialysis machine occupies a ‘spare’ room according to the witless officials responsible for administering his housing benefit – makes no sense. So yes, the bedroom tax is mean-spirited. The children of benefit claimants are, under the new rules, forced to sleep in the same bedroom; and separated parents are expected to make do with a sofa for their visiting kids at weekends. But it is also mad even in its own terms. The ‘tax’ was imposed on the dubious grounds that an alleged one million spare bedrooms, when freed up, would magically become new homes for half of the two million or so people on the social housing waiting list. Instead a severe shortage of two-bedroom homes into which ‘under-occupiers’ might otherwise have moved has resulted in misery all around. Those that can move are forced into more expensive accommodation in the private sector, costing the taxpayer even more in housing benefit; and increasingly leaving those larger homes that nobody can afford standing empty and at risk of being demolished. Most will have to cough-up and put-up with an even more miserable existence than that they were enduring before the ‘tax’. And yet … despite the understandable worry and anger of those affected and the over-emoting of their supposed sympathisers in the left-liberal commentariat, there is something amiss with the reaction of the latter to what is an indisputably awful policy. While they point to the lack of affordable housing as the real culprit they don’t call for the one thing that might solve the problem – a mass housebuidling programme. The sort of thing governments used to take on in the first half of the twentieth century. That there are ‘375,000 families living in cramped, overcrowded accommodation’, as employment minister Esther McVey announced recently, is the best argument in favour of pursuing such a policy. Instead it is used to justify forcing people to shuffle along to make room in the existing inadequate stock. This is despite the number of homes being built year-on-year being nowhere near enough to meet the demand of an increasing population. The housebuilding rate continues to fall from an already inadequate 21st Century peak of 223,530 in 2007/08 to a pitiful 124,720 in 2012/13. This represented a fall in the number of houses built of 8% on the previous year. But even more to the point, there is no criticism at all of the very welfare state that is both crippling the public finances and putting-up a large minority of the population in state-subsidised accommodation that they can’t afford themselves; or at least cannot scrape enough together for from their own meagre incomes. This can’t go on. It is not enough to fret about the lack of ‘affordable’ housing or to call on the UN to protect the human rights of ‘the vulnerable’. There are three things that can be done to solve the problem and without resorting to the victim-politics to which the anti-cuts and anti-welfare reform lobby have become all too accustomed. There isn’t nearly enough housing being built of any kind whoever eventually moves in, or whatever their alleged capacity to cope with the semi-withdrawal of state support. Making housing affordable will best be achieved by building much more of it. Instead of devoting their energies to patronising the workless, they should be campaigning for the government to create the economic conditions – through, for instance, strategic investments in infrastructure including the housing stock – that will generate more and better paid jobs. 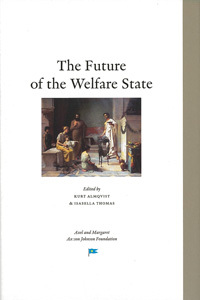 And if they really care about the downtrodden, rather than continually shouting it down, they should be supporting – albeit critically especially when it comes to the likes of this ‘tax’ – the need for urgent and more far-reaching reform of the welfare state.